Tap the magnifying glass on the bottom right of your screen. 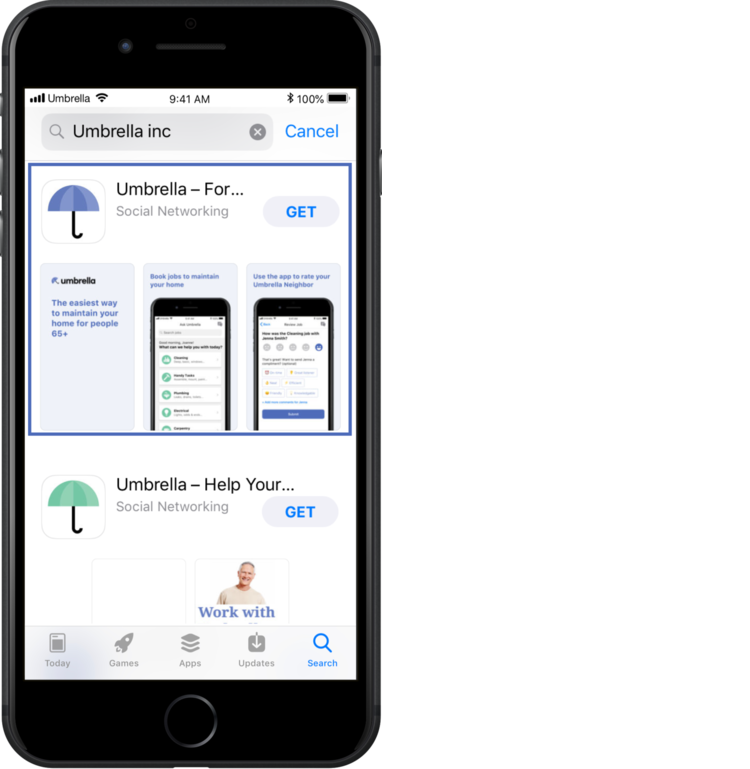 Type “Umbrella Inc” in the search bar and tap the search button to enter. When the results come up, tap the Ask Umbrella app with the purple umbrella icon (not green!). Place your finger on the home button to activate Touch ID payment or enter your Apple ID and Password to initiate the download. The app will download, and you should be able to exit the app store and view the app on your home screen. Tap the Apps icon in the bottom-right of the home screen. Swipe left and right until you find the Play Store icon. Tap it. The first time you tap here, you may be prompted to sign in with your Google credentials and payment information. It will also prompt you to allow backup of apps to your Google account, and require you to accept the terms and conditions. Once you’re within Google Play, tap the magnifying glass in the top-right. 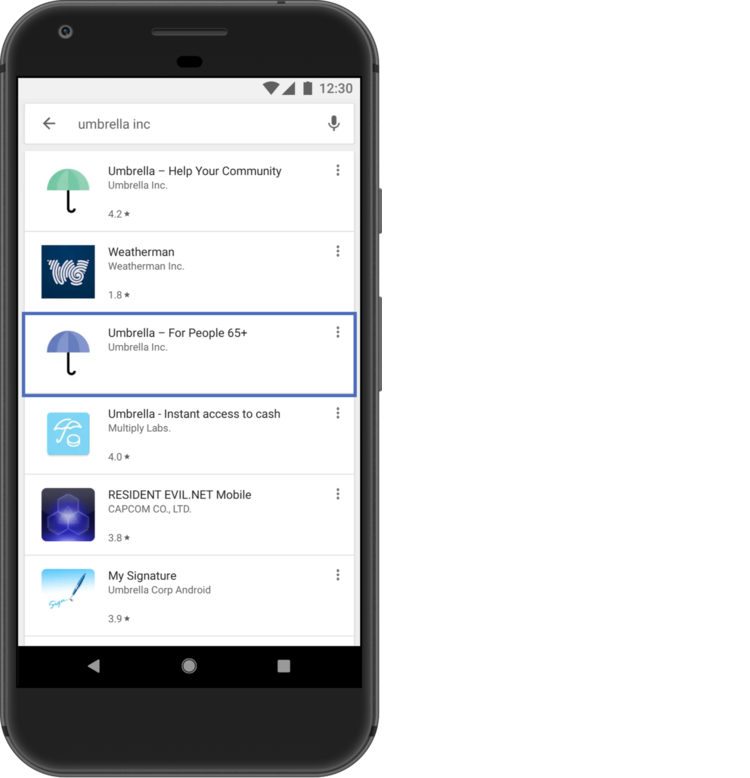 Type “Umbrella Inc” into the search bar. Tap on the purple (not green!) Umbrella icon. Once on the next screen, tap “Install” at the top of the screen. You will be prompted to provide certain device permissions for the installation to continue. Once the download and installation are complete, you can tap the Open button in the Play Store listing. When you want to return to the app later on, it will be available by tapping the Apps icon in the bottom of your home screen.